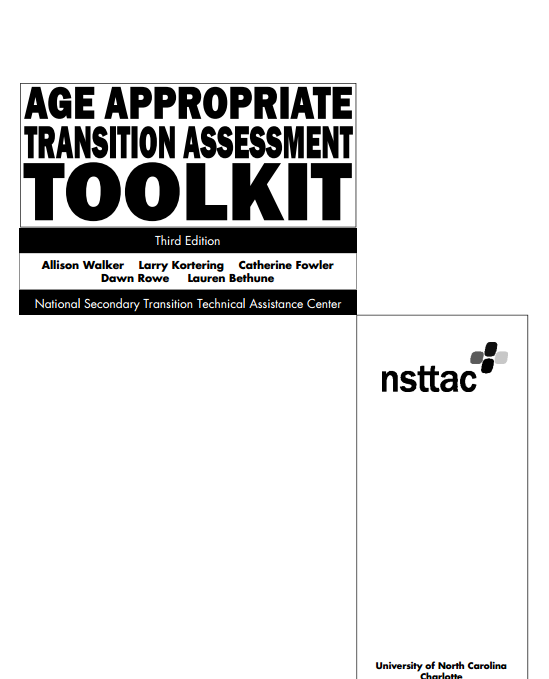 Helpful handouts which provide practical information teachers and students might use to prepare for the transition into adulthood. 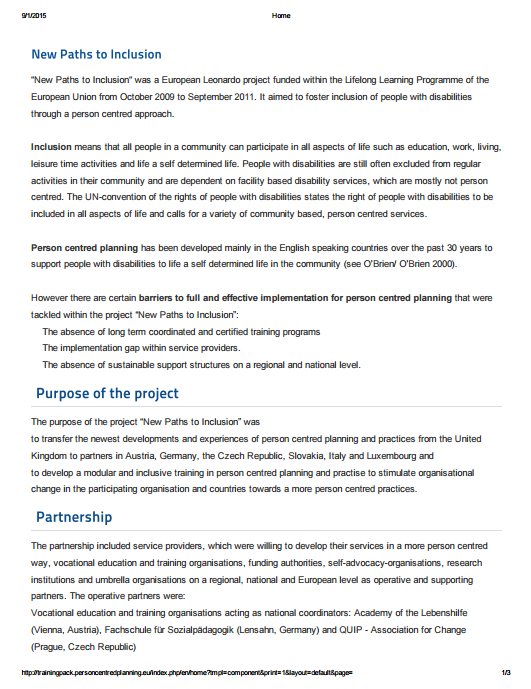 A European Leonardo project funded within the Lifelong Learning Programme of the European Union, aimed to foster inclusion of people with disabilities through a person centred approach. 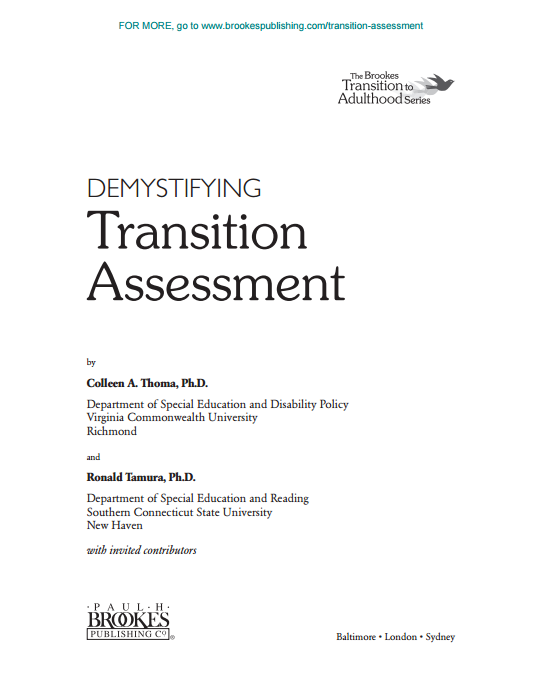 A book that demystifies the what, when, why, and how of collecting transition assessment data—and uses the results to help students with disabilities prepare for adulthood. 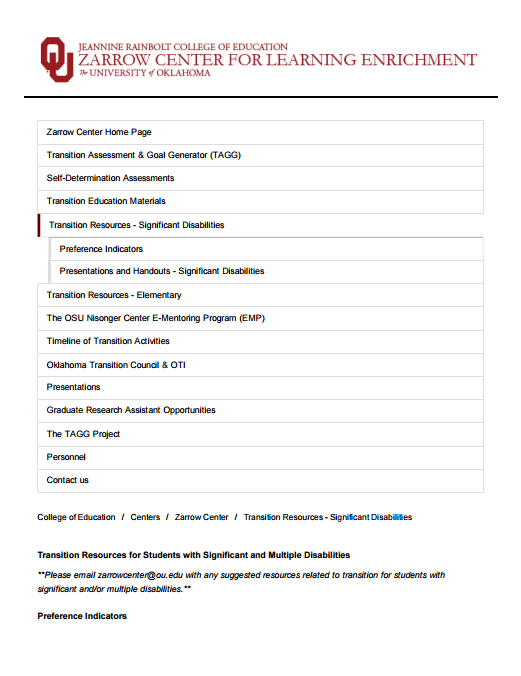 This toolkit provides information and tools necessary in creating a comprehensive and individualized transition process. 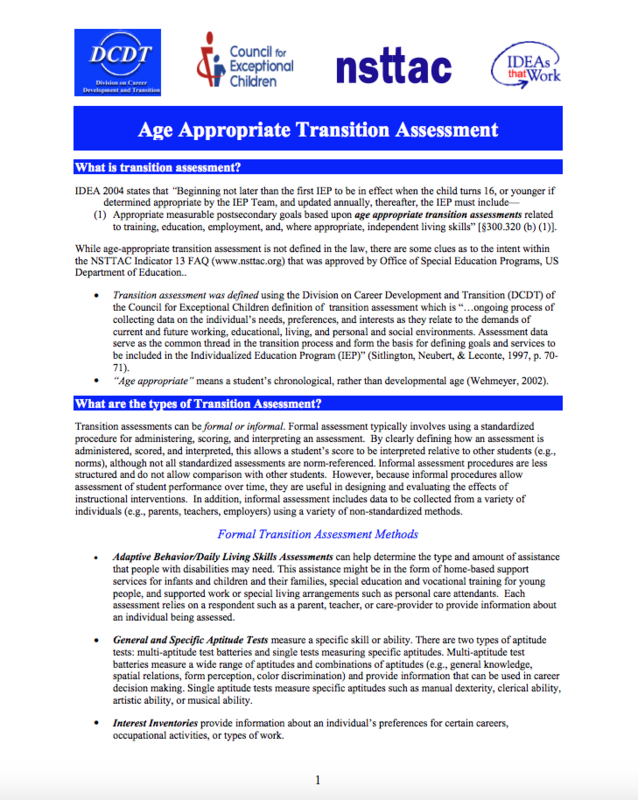 A free tool that assesses the behaviors and competencies youth need to achieve their long term goals. 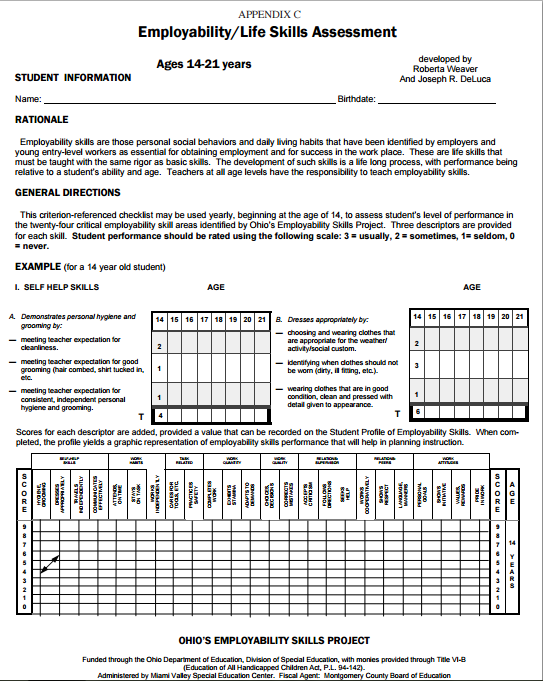 This criterion-referenced checklist may be used yearly, beginning at the age of 14, to assess student’s level of performance in the twenty-four critical employability skill areas identified by Ohio’s Employability Skills Project. 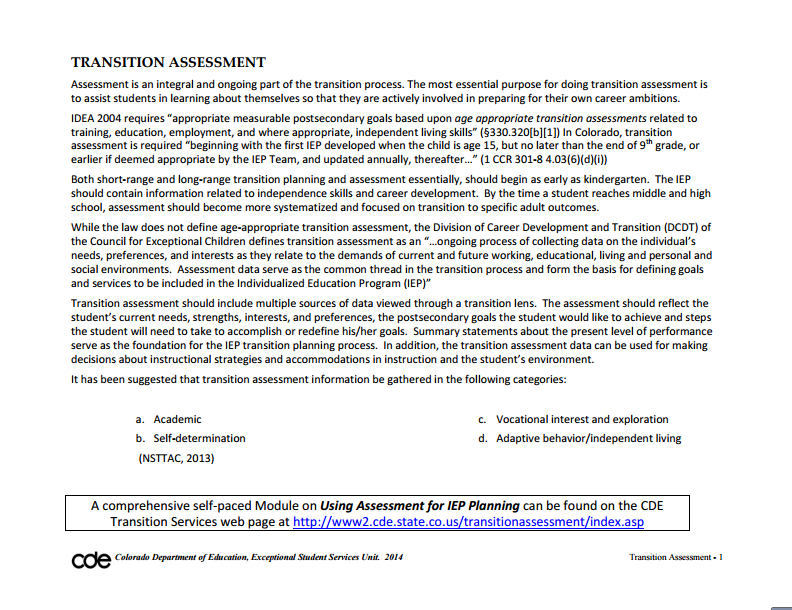 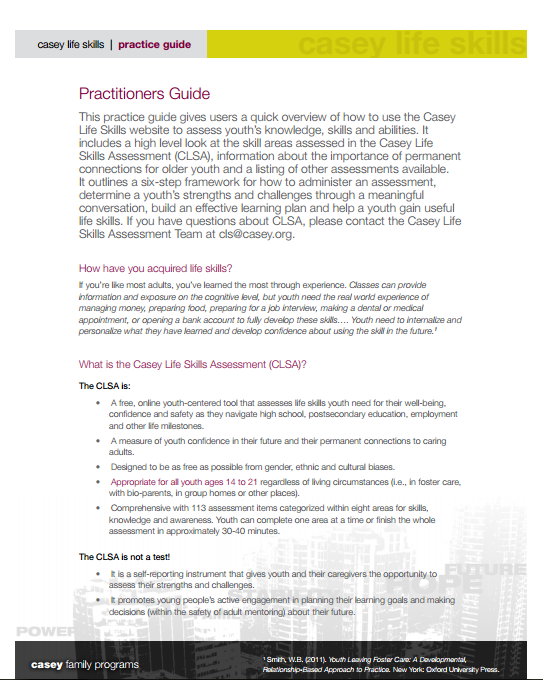 Tools for assessment and analysis to assist in the transition process.